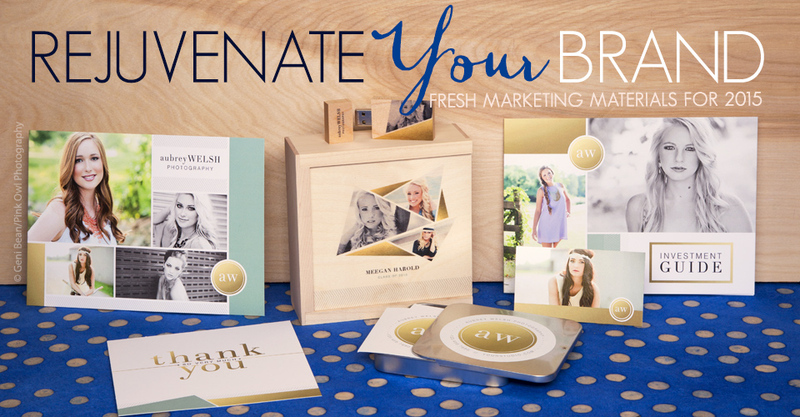 Breathe life into your brand with new studio marketing materials for 2015. January is a wonderful time to re-evaluate your marketing strategy and explore fresh ideas to create loyal customers. The Taylor Marketing Bundle (pictured above) on Design Market is loaded with fully customizable templates for Business Cards, Flat Cards, USB Combos and more. First impressions are your opportunity to give future clients a connection to your studio. I see you offer magazine templates, I have a template already but have no clue how or where to print it. Is there an option in ROES or do I order somewhere else? We have a couple options that might work depending on the template. Magazine Covers (http://www.millerslab.com/magazinecovers) and Event Books (http://www.millerslab.com/eventbooks) are available through ROES SE. We also have Print Package Books (http://www.millerslab.com/schools-packagebook) available through ROES SE. Am I able to print trifolds of different sizes and are envelopes available for trifolds? Hi Ruth, the Folded Luxe Card is available in 5×5 and 5×7. We also offer Accordion Cards that feature 6 or 10 panels (http://www.millerslab.com/accordioncards). We do offer envelopes for the cards as well.